UPDATED! Who Wants a Free Book? As promised, now that the Matt Archer Series Omnibus is live for pre-order on the big retailers, it seems like a good time to have some fun. Do you like free books? You do? Well, how about a little giveaway? So, how does this work? What am I getting? Most of you have already read Monster Hunter, Blade’s Edge and Legend, and maybe have already reviewed them, too, so this should be an easy way to get a copy of UNSTRUNG for free! f you are a new reader and would like the Omnibus in exchange for a review, give me a shout at the email address below, and I’ll send it along. Once you complete the review (as long as it’s before October 3rd), I’ll send you a copy of UNSTRUNG, too! Honest reviews. Hopefully you loved the Matt Archer books, but if you want to give me some additional feedback, please do! Oh, there’s still more? What? Can it be? Yes! Three lucky participants will also win a copy of the Monster Hunter audio book. All this for going HERE to review the Omnibus. Want another entry for the audio book? Cross post your review to another retailer or to GoodReads, and send me the links. Each posted review will get you another entry in the drawing. Make sense? If not, drop me a comment or an email and I’ll answer questions. Come back here on October 7th to find out who won the audio book. Good luck and thanks everyone!! Last week I announced the Matt Archer Omnibus, and which will include Monster Hunter, Monster Summer, Blade’s Edge and Legend. I also mentioned that in addition to the four works, I’d have two new short stories and some interviews. The Mamie short-story (centered around the start of Monster Hunter, but with hints well into the later books) is almost done. I plan to also write a Will story–about the goings on in Legend with his family…both before and after Matt came to the house. Heh, thought y’all might like that one. For the interviews, though, I need your help! The Omnibus will come out September 26, and I’m ready to get to work on the interviews. So, what do you want to know? One interview will be with me. You can ask me (almost) anything! And what do you want to know from Matt and Will? They’ll be taking questions together, and it’s anyone’s guess as to what they’ll say. The questions will have to be non-spoilery past Legend, but anything from the first three books is game! Please add your questions in the comments below by September 19, and I’ll make sure they’re added. Then, on September 26, when the Omnibus is released, I’ll provide more information on how to earn your Advanced Reader Copy (ARC) of UNSTRUNG, as well as a free copy of the Omnibus! Don’t forget–everyone who participates will also be entered into the drawing for one of three free Monster Hunter audio books! All righty–let’s hear those questions. I’m sure Matt and Will would love to talk about food…or girls…or food. Ask away! Now here’s the really fun part. There will be a giveaway attached to this. For anyone who reviews the omnibus when it comes out, you’ll get a free copy of the omnibus, an ARC of UNSTRUNG and be entered to win one of three copies of the Monster Hunter audio book! I’ll put out an announcement both here and on kendrachighley.com when the giveaway starts (probably end of September), but be thinking about author interview questions, otherwise I’ll talk about whatever I like–which might be Tinker Bell figurines or why I think Nathan Fillion is hot. Next week I’ll put out a call for questions (for both me and for Matt/Will), but if you have some now, leave them in the comments, and I’ll answer what I can! Until next week–beware of ominous buses full of monsters! I trust everyone has been well. Things have been a bit busy around here and my website has been a little hinkey, so sorry for the delay in a new post. To keep up with the most current news (especially about upcoming projects), trot on over to the Kendra C. Highley site to hear the latest. So what’s next for Matt and the gang? Well, like me, Mr. Archer needed a vacation. Over time, though, I plan to revisit the team in short stories both in cannon and outside of it. A few people (you know who you are ::evil grin::) have asked for some more “adult” stories. Apparently there are some Mike/Julie ‘shippers out there. I’ll check in with the other wielders, and there might be a few Brent, Mamie, Will, and Erik/Dani stories too. I’m not finished with the universe, but Matt and I need a little time off before diving back in. As to that vacation I mentioned…well, hopefully the picture says it all. I had a wonderful time with my family, but it’s nice to be back and ready to roll. This series has been such a great experience for me. Having your support has made it amazing. You can find Redemption in eBook format at Amazon, Smashwords (which also works for iPad/iPhone), and Kobo. Barnes & Noble is still pending at the time of this post, but I have the issue escalated to the top support team, so hopefully it’ll be up in few days. I’ll post an update on Facebook as soon as it goes live. In the meantime, Nook users can buy the book from Smashwords and download a copy of the .ePub if you’d prefer to get the book now. A paperback is in the works and should be available sometime in early August. Also, I’ll be starting a blog tour at the end of this month, so be sure to check that out. I’ll be offering some behind the scenes tidbits, like my playlist for the book, etc., and there’s a giveaway. Hope to see you there! And don’t worry–I’ll be around here with the occasional odd post about Bigfoot and some Pentagram Strike Force short stories. Have an idea for one? Drop a comment here. If you want to make sure you don’t miss any stories, subscribe to the blog and you’ll have the posts delivered right to your email! If you want to know about new projects, you can follow my main blog here. I’m really excited about the new series I’ll be debuting in the fall. I hope you’ll give it a try! Again–thank you for everything. Matt thanks you, too. I’m back from Florida, and ready to take care of the final formatting on Redemption. Barring a crazy happenstance (zombie apocalypse or the like), the book will be loaded on July 3rd. It might be available as early as Thursday evening on Smashwords and Amazon, but hopefully no later than the morning of July 4th for other retailers. For Apple mobile users, you can order the book from Smashwords, and it’s very easy to load onto your device. Instructions can be found here. Two more quick announcements. First, all five books will be on sale through July 12th. The first four are already on sale and Redemption will be on sale for its first week as well. It’s regular price will be $4.99, but I’ll offer it for $2.99 from July 4–6th, then $3.99 from July 7th–12th, so be sure to buy it early before the price jumps up! And if you are a newsletter subscriber, I’ll be offering discount coupons for Smashwords through the end of July. Second, watch for a blog tour announcement soon. I’ll be answering some interview questions about Redemption. And for those not wary about spoilers, there are already some great reviews on Goodreads. Guess that’s it! Five more days…whoohoo! Until then, beware of monsters. Two weeks to go before Redemption‘s release, but there’s still something to celebrate: the winners of the ARC giveaway! Drum roll please . . .
Kelly M., and Rhiannon M.! Congrats, y’all! I’ll be emailing you shortly to find out what book format you prefer. If you don’t hear from me by 5 pm, give me a shout on via the contact page. 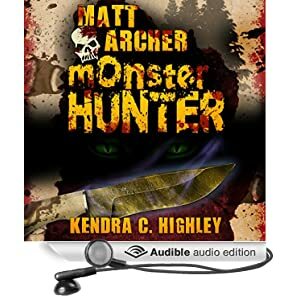 In other fun news, the Matt Archer: Monster Hunter audio book has now hit stores. If you are an Audible member (or if you want to sign up to become one! ), you can find the book on Audible or Amazon. If you have an Apple device, the audio book is in the iTunes Store. I think Chris and Dark Fire Productions did an awesome job with the recording. The monster voices are especially funny, and Jorge turned out pretty cute too–he totally has a Connecticut accent! Thanks to everyone who participated in the giveaway. Y’all are awesome. I’m going to go dark for a little bit. I’ve got some traveling to do and to get ready for the launch, but take a peek back here on July 4th for a release announcement. Oh! If you are a newsletter subscriber, I’ll be sending out some discount coupons for Smashwords. If you aren’t a subscriber, it’s not too late! You have until July 3 to join. It’s Friday the 13th, and a full moon. Sounds like something out of Matt’s nightmares, right? Good thing this is a somewhat rare event. Anyhoo, we’re T-minus three weeks until Redemption hits booksellers, but I’ve heard a few of you are quite anxious to get your hands on a copy. Since I live to serve, how about a little giveaway? Wait, how about FIVE giveaways? That’s right, I’m giving away five Advance Reader Copies (ARCs) to five lucky winners–and they’ll get them 2 weeks before the book is published. Interested? To enter, check out the Rafflecopter below. Four of the entry types involve reviews. If you’ve already reviewed Legend and/or Bloodlines on Amazon or GoodReads (or both! ), post your link in the Rafflecopter fields. If not, there’s still time to write some up and post your links before the end of the contest. You can also comment on this post or tweet about the giveaway for an entry. The contest is live today through 12 am central on June 20th. I’ll announce the winners at noon next Friday. Good luck!! Before we begin, please check out this post on kendrachighley.com as to why I’m no longer directly publishing to Apple iBooks. If you own an iPad/iPhone (like me), using Smashwords is just as easy and efficient…but getting content/updates into iBooks isn’t, so I’m making the switch. If you want instructions on how to purchase books from Smashwords on your Apple device, check out this handy reference. Thanks for your support!! Why this photo? Because these, dear friends, are the deepest shadows ever recorded in space. 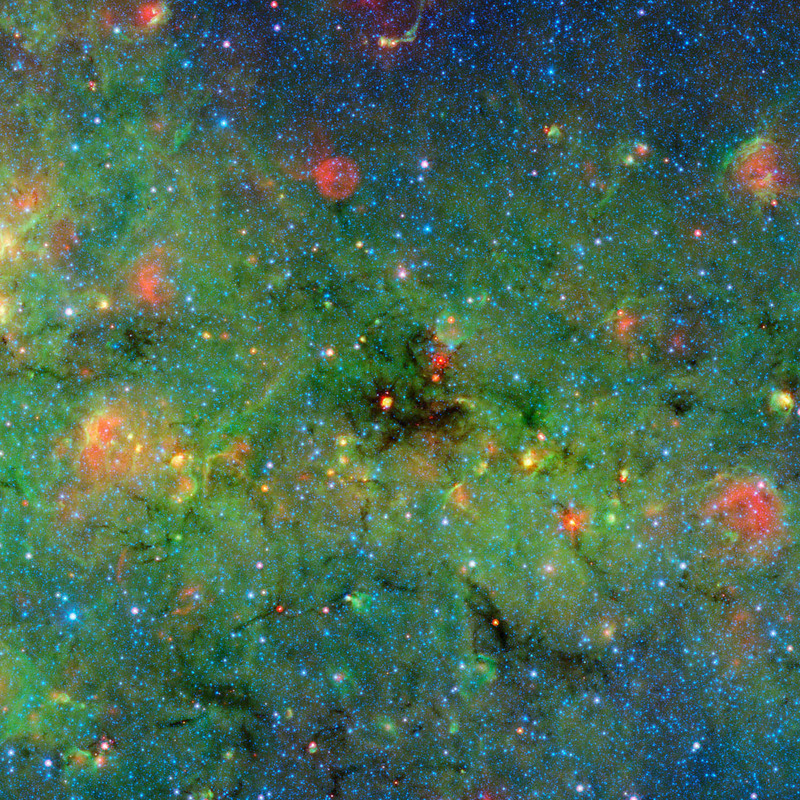 THE DEEPEST SHADOWS EVER RECORDED IN SPACE. Awesome! I’ll give you three guesses why I like it…but you’ll probably only need one. From the earliest parts of the Matt Archer series, I’ve been interested in cosmic power and its impact on humanity. Redemption will dig even deeper into that topic. This is cool stuff, and there’s so much we don’t understand (and might never), but it’s still incredible to think about what’s out there. I’ll have some updates (and an ARC giveaway!) for Redemption coming along in the next few weeks, so be on the lookout. Until next time! First, I want to let you know that I’m hard at work on final edits for Redemption. We’re still on for a July 4th-ish soft-launch, with the big splash starting the week of July 7. In the meantime, though, I have a few things for you. First, I’m going to give away five ARCs of Redemption in a few weeks, so be on the look-out for that. Second, you know what I love? Seeing what you guys highlight in the books. These highlights (once they reach critical mass–I think that’s 3 people) pop up on the book’s page in Amazon, and it cracks me up to see what people find “highlight-able.” So, if you own a Kindle and you come across a line you find amusing or interesting, would you highlight it? I’m serious, I get a giggle out of this, and I do check to see what’s out there. I’m also surprised by the lines that get picked. The courage/acquiescence line from MA2 I thought would probably be there (and it was), but the Scarlet Letter line from MA3? I totally didn’t see that one coming. Just something fun for all of us. Finally, Rhiannon asked last week if we could get the scene between MA4 and MA5 that I mention in passing in the Chapter One teaser from the Redemption cover reveal. Mainly, she wanted to see Dani Archer’s reaction to the fact that her baby had been subpoenaed by Congress. Well, ask and ye shall receive! “And it’s the whole team?” I asked, softening my tone to avoid stressing my daughter out. She didn’t like it when my temper flared, even if it was aimed at someone else. Right now, it was definitely aimed at someone else. Congress, to be precise. And my temper was more than flaring—I was pissed. I rarely used that phrase, and I never used it lightly. “Pissed” was reserved for times when Mama Tiger had her claws out. Someone was out to get my youngest child…and I was going to crack some heads together because of it. That was the truth, the whole truth and nothing but the damn truth. So help me God. The calm in her tone when she said “unsecured line” like she was a government operative wavered when she asked if I was coming. My sweet girl, worried about her friends and family…she might be eighteen, but she needed her mother. I couldn’t—and wouldn’t—disappoint her. She sounded tired, and that was unlike her. Another reason I needed to get to D.C. I had a feeling my brother, his wife and my baby niece would need some looking after as well. Good thing I had enough TLC to go around. “Yes?” I asked, already distracted with travel plans and plotting out my argument for a leave of absence at work. It’s not like I could tell the other partners the truth. One, they’d never believe it. Two, I could be arrested for saying too much. No, I needed to invent an ill relative or something. Because Mama Tigers don’t stand by.